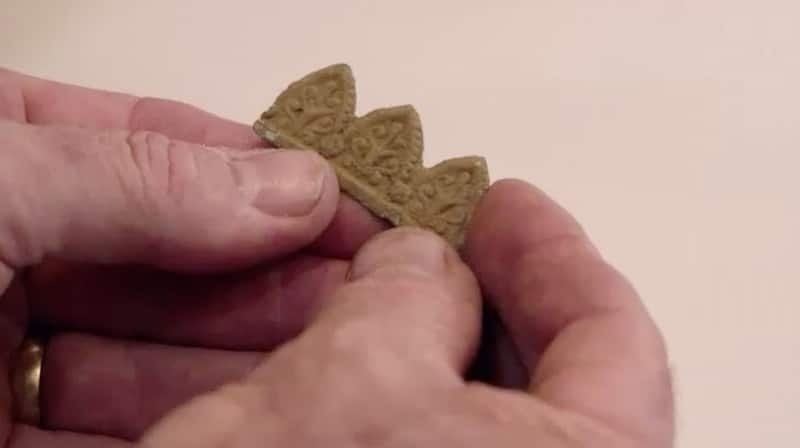 A Medieval cross found on The Curse of Oak Island could help pave the way to rewriting history — if it can help provide evidence that the Knights Templar visited Nova Scotia. 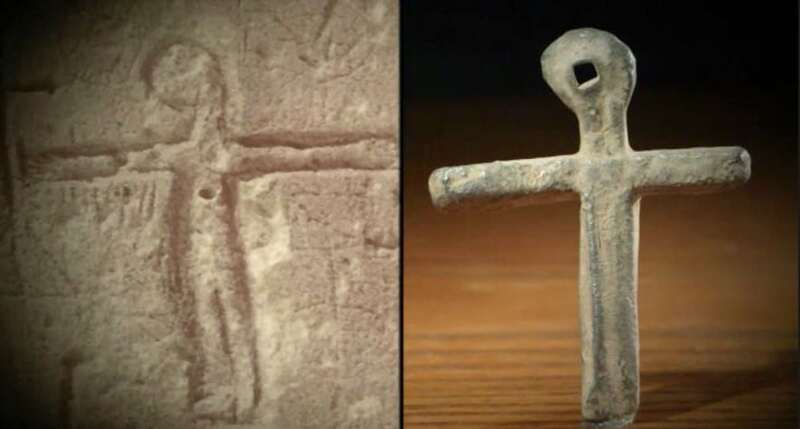 The cross, made from lead and with a square hole at the top, was discovered in mud around rocks in an area of the Canadian island known as Smith’s Cove. 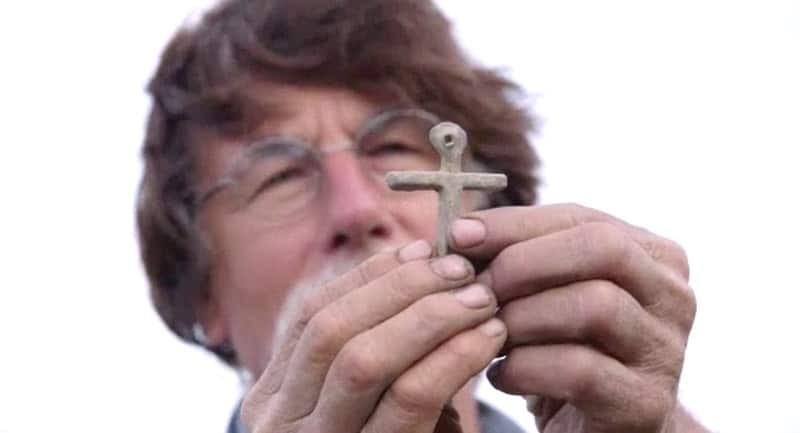 Footage of the find was aired on this week’s episode of the History series and showed the cross being uncovered by metal-detecting expert Gary Drayton while he was accompanied by Rick Lagina, who along with brother Marty leads the treasure-hunting team on the island. Drayton estimated that the cross dated from between 1200 to 1600, and it will later be analyzed by an expert in the hope of garnering more information about its origins. The cross bore an eerie resemblance to a carving seen by Rick Lagina in a wall at the Templar prison at Domme, France, during a research trip which was shown on the previous episode of The Curse of Oak Island. 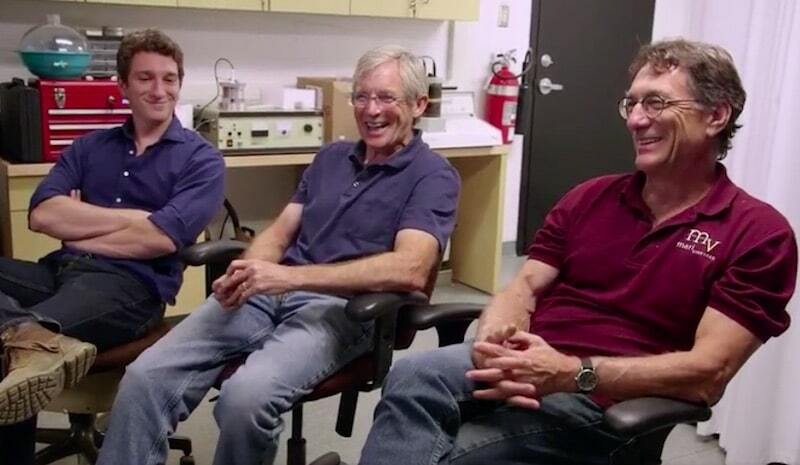 According to the show, if a definitive link can be made between the Templars and Oak Island it would be hugely significant as it would show they had travelled to Nova Scotia hundreds of years ago. 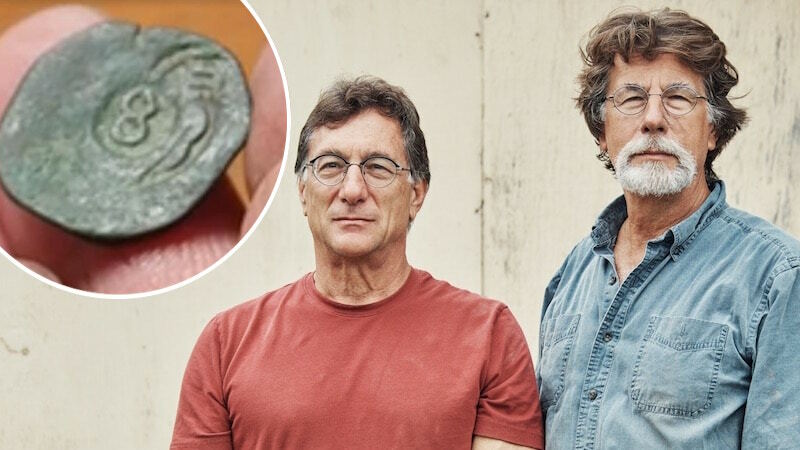 The Curse of Oak Island’s narrator Robert Clotworthy said on the show following the find: “For Rick, Marty and the Oak Island team, the discovery of what could be a 13th century Templar cross may turn out to be not only a clue but the first step in finding an answer — perhaps the very answer that has alluded treasure hunters for more than two centuries. The find was made in the same area of the Nova Scotian island at which which the team uncovered a French drain — a trench filled with gravel or rock used to direct water — last season. As well as the discovery of the cross, the latest episode of The Curse of Oak Island also saw a huge advance in the team’s efforts to locate the island’s legendary Money Pit, which it’s thought could contain anything from Templar treasures to Shakespeare’s original folios. After drilling down with a 60in caisson to a depth of 170ft in the location of a borehole called H-8, the metal casing suddenly hit a flat, hard surface believed to be made of wood. It came at around the same depth and location that treasure-hunting team William Chappell and Frederick Blair uncovered what they believed was a vault — later dubbed the Chappell Vault — back in 1897.